Here’s the real reason why EFCC officially revealed it’s famous twitter handle – Royal Times of Nigeria. 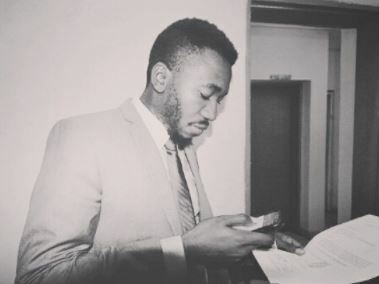 Yesterday, the EFCC revealed its twitter handler as fast rising rapper, Olufemi Olukayode Adeyemi populary known as Fshaw. For almost a year, his identity has been kept a secret but yesterday it became necesary to unmask him becasue Femi had been with the EFCC for the past year as a youth corper. His NYSC programmed wrapped up yesterday and Fshaw has decided to move on from the job to pursue his carrer in music. It’s not clear who will replace him or if the handle will ever be as witty and interesting as it has been in the past year but Femi’s career is already kicking off to a flying start. In just a few hours after his identity was unvelied, his twitter followers increased from barely 2,000 to over 13,000.